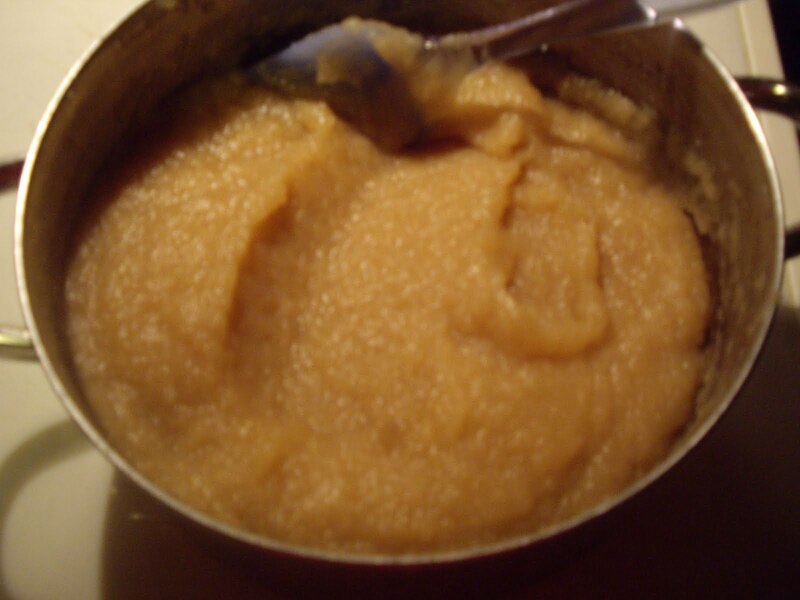 Making your own applesauce is a cinch. If you are lucky enough to have your own apple tree or have someone give you some, you really should try making it yourself. If you have enough, you can can it or even freeze it. Or just make small amounts and store it in the refrigerator. You will need a dutch oven or large saucepan. If you are making a large batch get some canning jars and flats with rings or freezer containers ready. If canning, get out your water bath canner or pressure canner. You will also need a food processor, hand held blender, or potato masher. Put in the cooking pan. Add enough water or juice to the apples so that the apples won’t burn. Cover the pan and turn on the heat. When the liquid and apples come to a boil, turn down the heat and let simmer for about 45 minutes to an hour. The apples will be very soft. Now, you can get out your potato masher and mash them into sauce by hand. If the apples are soft enough, this is very simple. You can also use a hand held blender or puree them in a food processor. When all the apples are sauced, put them back into the pan. Now, taste them and add some sugar to your liking. Just add a few tablespoons at a time and cook the sugar in. Taste and if needed add a little more sugar. When it is as sweet as you want, bring back to a simmer and cook to desired consistency. Remove from heat and put in jar to can, freezer containers to freeze, or store in the refrigerator. If canning, process in a water bath canner for 20 minutes- both for pints and quarts. You can also pressure can it for 15 minutes under 5 pounds pressure.